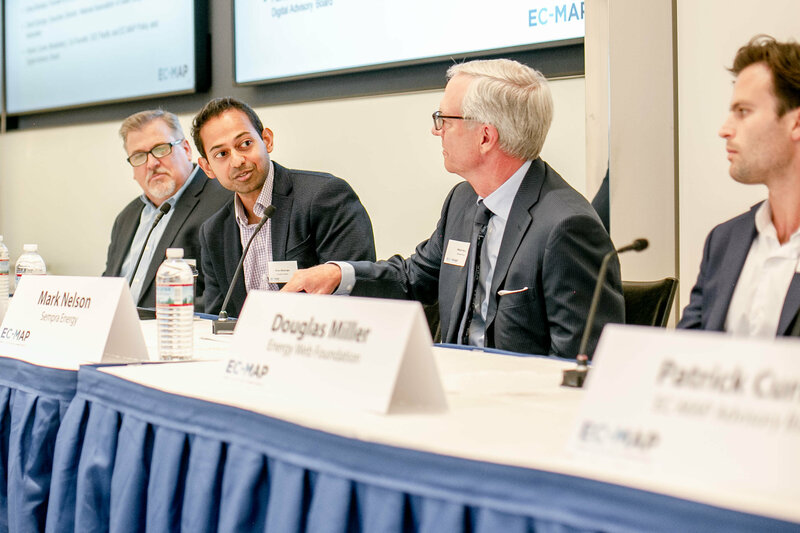 On October 17, EC-MAP convened nearly 100 stakeholders to launched a discussion about how data and digital technologies like artificial intelligence, blockchain, and the internet of things will intersect with the power sector. 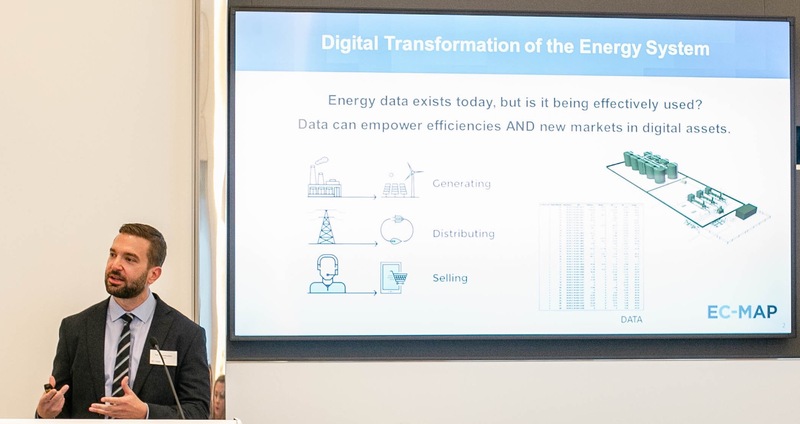 Our event brought together a diversity of stakeholders to discuss and debate ideas from our newest white paper, New Policy for an Era of Energy Digitalization: Power. To discuss the role of Federal and state regulators, we were excited to hear from FERC Commissioners Neil Chatterjee and Richard Glick and from DC Public Service Commissioner Willie Phillips. All discussed the need for regulators to eliminate barriers and ensure new technologies can compete in the marketplace but acknowledged many of the key challenges around digitalization are yet to be defined. Our second panel included a presentation from the Energy Web Foundation on how blockchain can apply to the electricity system, which led to a robust (and sometimes tense) discussion among representatives from Sempra Energy, Arcadia Power, and the National Association of State Utility Consumer Advocates about how much energy choice (and how to access emerging streams of data) that consumers really want. These are exactly the types of challenging and dynamic conversations needed around emerging digital issues, and exactly the kind of debate that EC-MAP intends to convene and facilitate going forward. As always, we welcome your ideas and feedback and look forward to working with you to align policy with a digital energy future. EC-MAP Presents at Energy Blockchain Consortium Conference.